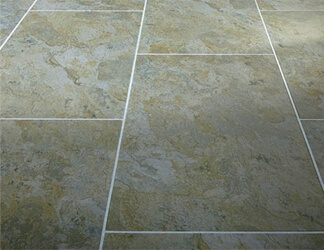 The elegant sophistication of tile and stone tile flooring is unrivaled. Stone and tile flooring is made from a variety of different materials, and is offered in a staggering array of natural shapes, designs, and colors, which makes it a fine choice of flooring for home and business owners with refined tastes. At Area Floors, we offer Portland tile flooring and stone tile products from today's leading manufacturers, all at competitive prices. If you're a contractor or interior designer, you can invite your clients to visit our showroom, where they can see and touch our complete line of Portland stone tile flooring and tile products for themselves. Our team of in-house stone and tile flooring specialists will help them discover the perfect balance between form, functionality, and affordability. If you're ready to find the perfect stone or tile flooring for your home or office, let's get started. Your choice of flooring says a lot about you as a home or business owner, and stone and tile helps you make a clearly defined design statement. The natural shapes and textures of stone tiles can add sophistication or rustic charm to any space, and tiles come in a variety of custom colors and designs that will add life to a room, or an entire home. Before selecting tile or stone flooring for your home, there are a number of considerations that should be made. The materials you choose should compliment your lifestyle while acknowledging your decorative and aesthetic tastes. Finding this balance can be difficult, especially if you have little prior knowledge of the many Portland stone tile flooring and other tile products available in today's market. Consider the following information about stone tile flooring as a primer for your visit to our showroom. We have more options than are listed below, but these are some of our most popular items. Natural Portland Stone Tile Flooring - There are virtually limitless varieties of natural stone tiles because they come from local quarries all over the world. The most common varieties are granite, marble, slate, and limestone, which includes travertine. Color & Finish - Whether you want your home or office to feature the traditional tones of walnut hardwood, or prefer something lighter to compliment an open and airy space, choosing the perfect Portland hardwood flooring color hinges on a variety of factors that goes far beyond personal preference. 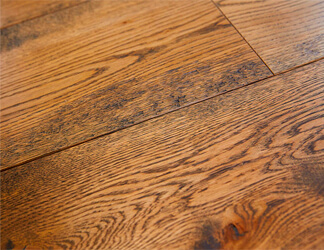 While some hardwoods are undeniably complimented by a particular stain, most can be finished in a variety of tones and colors designed to blend seamlessly with other surfaces and fixtures. Portland Granite Tiles - Granite is dense, hard, impervious to stains, and comes in thousands of different colors and styles. 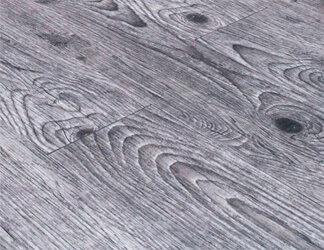 It is an excellent choice of flooring for kitchens and areas that receive high traffic. Subfloors must be built strong and perfectly level to support Portland granite tiles. 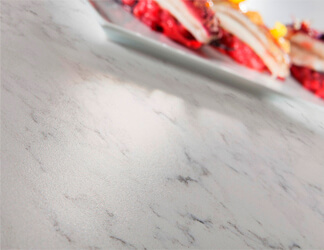 Portland Marble Tiles - The rich, elegant veining of marble is legendary, and it comes in a wide array of colors to compliment any interior palette. Because marble is porous and vulnerable to natural acids, it is not recommended for kitchens unless it is properly treated and maintained. Portland marble tiles are appealing to persons who demand something unique, because no two tiles are ever the same. Slate Stone Tiles - Slate offers a natural, rustic look featuring darker, earthy tones. Durable slate tiles are perfect for high traffic areas and kitchens as long as they are maintained according to manufacturer specifications. Travertine Stone Tiles - Travertine is a porous stone that has been used for centuries, offering a refined, traditional look that is still popular all over the world. 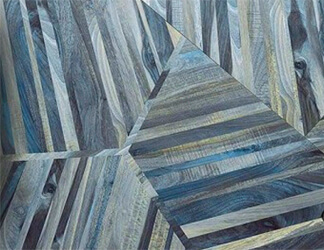 Its crystallized appearance compliments a rich, earthy tone, and feels softer than many other Portland tile flooring options, which adds to its appeal. A number of tiles are manufactured in much the same way as ceramic tiles, and these include brick, cement, glass, and terra cotta, just to name a few. Ceramic tiles are durable, highly functional, and can be incorporated into your decor as a focal point or to complement existing design elements. There is far more to your stone or tile floor than meets the eye. The same is true of Area Floors, where our team of educated stone and tile enthusiasts are ready to help you find the products you need to turn your home or office into a masterpiece. To create something truly unique, you need a broad selection of materials from which to choose, and our design team can help guide you through this exciting process. We are proud to work with area contractors and interior designers, empowering their clients with limitless stone and tile flooring options to help bring their ideas to life. Stop by our showroom and let us inspire your choice in stone or tile flooring, so that you can find the perfect balance between form, function, and affordability.